Robert Mueller and the Democrats are teaching America a valuable lesson – how corrupt and totally out of control American law enforcement is. It matters not what you have done. What matters is what they can pin on you, what they can invent, what they can convince the court of public opinion that you have done. THAT is what matters! Not ethics, not morals, not law, just what they can make it appear you have done, which may be completely without factual basis, and in the case of President Trump’s ridiculous alleged collusion with Russia, certainly has proven to be, at least to anyone with at least two active brain cells. But, they don’t need facts, just a good story line, a trace of circumstantial evidence, possibly invented, a complicit media to push the narrative, and a small minority of vocal useful idiots. And, they have all that! Now, to mold it into criminal charges, prosecution, impeachment, prison time. It is clear that Mueller and his troop of flying monkeys are trying to finger Trump lieutenants with baseless accusations and tacit threats to gain their cooperation in the bizarre case against President Trump in an effort to depose him. Donald Trump was hired by We the People to do a job. Notwithstanding the efforts of slimy swamplords like Mueller, he is performing splendidly. The leftist obstruction only serves to make President Trump and the Republican Party stronger. 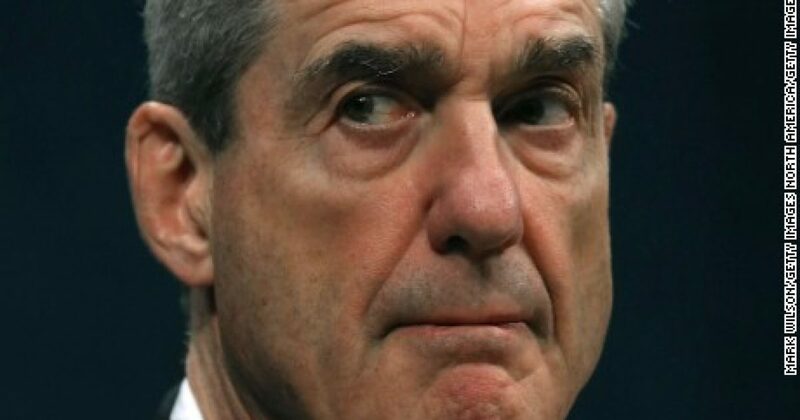 President Trump should fire swamplord Mueller NOW! Then, get on with Making America Great Again. WASHINGTON (Reuters) – U.S. investigators examining money laundering accusations against President Donald Trump’s former campaign manager Paul Manafort hope to push him to cooperate with their probe into possible collusion between Trump’s campaign and Russia, two sources with direct knowledge of the investigation said. Special Counsel Robert Mueller’s team is examining Manafort’s financial and real estate records in New York as well as his involvement in Ukrainian politics, the officials said. Between 2006 and 2013, Manafort bought three New York properties, including one in Trump Tower in Manhattan. He paid for them in full and later took out mortgages against them. A former senior U.S. law enforcement official said that tactic is often used as a means to hide the origin of funds gained illegally. Reuters has no independent evidence that Manafort did this. The sources also did not say whether Mueller has uncovered any evidence to charge Manafort with money laundering, but they said doing so is seen by investigators as critical in getting his full cooperation in their investigation. “If Mueller’s team can threaten criminal charges against Manafort, they could use that as leverage to convince him to cooperate,” said one of the sources. Manafort is seen as a key figure in the investigation because of his senior role in the campaign and his participation in a June 2016 meeting that included the president’s son, Donald Trump Jr., close adviser Jared Kushner and Russian lawyer Natalia Veselnitskaya. The meeting was called after the lawyer offered damaging information about Democratic presidential candidate Hillary Clinton. Mueller’s team asked the White House on Friday to preserve all of its communications about that meeting. Mueller is examining contacts between Russian officials and Trump associates during and after the Nov. 8 presidential election as part of a broader investigation into whether Russia tried to sway the election in favor of Trump. Manafort previously worked as a consultant to a pro-Russia political party in Ukraine and helped support Yanukovich. According to a financial audit reported by the New York Times, he also once owed $17 million to Russian shell companies. Former Southern District of New York U.S. Attorney Preet Bharara was investigating Manafort’s real estate dealings before he was fired by Trump in March, and Mueller has now assumed control of that investigation, one of the sources said. Bharara was not available for comment on his investigation on Friday.